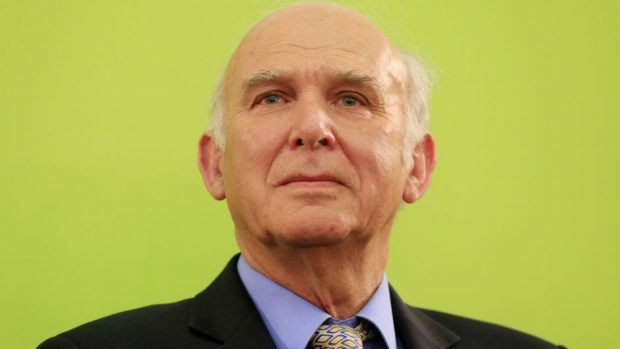 New Liberal Democrat leader Sir Vince Cable has blamed “quite serious deterioration” in Scottish education standards for the SNP’s “decline”. The former Glasgow councillor said the general election outcome suggested the nationalists’ momentum had “ebbed considerably”, creating a “big opportunity” for his party which was in “recovery mode” north of the border. He put this down to less support for independence “at the margin”, but also “disillusionment setting in with the Scottish Government”, particularly voters’ realisation at how free university tuition had been paid for. But SNP deputy Westminster leader Kirsty Blackman accused him of a “major gaffe”, claiming he was advocating £9,000-a-year fees for Scottish students at odds with the Scottish Lib Dems’ stance. Sir Vince, who did his PhD at Glasgow University and ran for rector there earlier this year, told the P&J: “I see initially that was quite a popular policy, but people are now beginning to realise how it was paid for, which was by taking really quite brutal cuts in further education. “I think 140,000 places have been lost, which proportionately is significantly worse than in England. Also money has been taken out of the school system – there’s some quite serious deterioration now taking place. Aberdeen North MP Mrs Blackman labelled the comments a “huge embarrassment” to Scottish leader Willie Rennie. She added: “Not content with driving their party off an electoral cliff by their tuition fees betrayal in England, their UK leader is now suggesting the Lib Dems support imposing £9,000-a-year fees on Scottish students. A Scottish Lib Dem spokesman said Sir Vince had “absolutely nailed the SNP for their cuts to colleges and their failings on schools”. He added: “It was Scottish Liberal Democrats in the Scottish Government back in 2000 who scrapped tuition fees in Scotland and we do not favour their return now.